The corresponding author submits the article to the journal through online submission platform or submission by email. The editor examine the article’s framework and layout as per the journal Author Guidelines to make sure it comprise the standards and can be processed further for review. If Editor doesn’t find the article original and interesting then the paper may be rejected initially without being reviewed any further. The editor of the concerned journal sends article to the appropriate reviewers based on subject of the article. It may be send to more than one reviewer- commonly two due to some difference between journals. Review process normally takes three to five months to complete depending on the number of rounds the reviews need to take place. 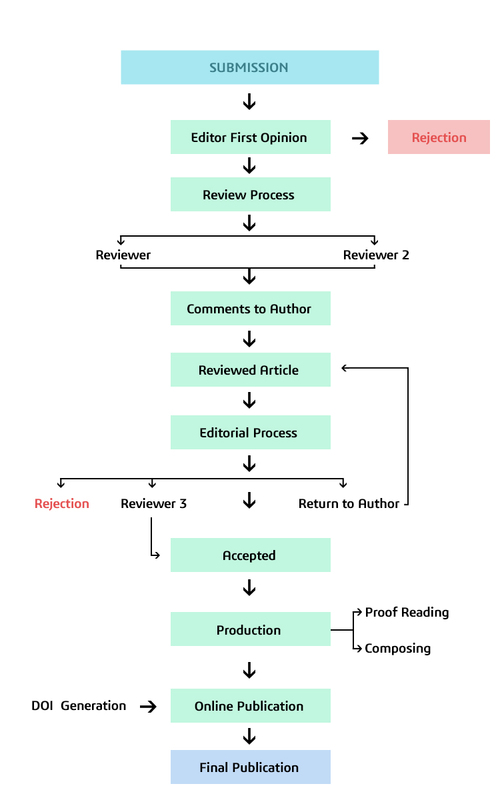 Reviewer then submit the review in comments sheet to the journal, with a recommendation to accept, reject, minor, moderate and major revision before it is reconsidered. Reviewer can express his willingness to review a revision of the paper or not. Editor then consider all the reviews and can send the article to another reviewer as to get an extra opinion to make it more refine. Editor communicate all the comments from Reviewer along with his comments as editor should include useful comments to help the author further improve the article. Author is advised to follow all guidelines of journal and send revised article as per format. Author need to submit point wise reply of reviewer comments. The editor cross check and considers all the returned corrections and revision done by author as per comments and guidelines before making an overall decision. Editor can send the revised article again to the reviewer as if required. Editor can return the article to the author if it was not revised as per comments and format. The editor sends a decision to the author about acceptance or rejection of article. Article processed further for production as per format and layout of journal. Content, tables and figures arranged as per journal framework. Galley proof then send to the author for final corrections if found in the article. Article get published online with DOI number after finalizing the proof by all the authors of the article. Final print publication of article is done as per serial number and the time frame of each journal as it vary between journals. Author receive published article after final publication.